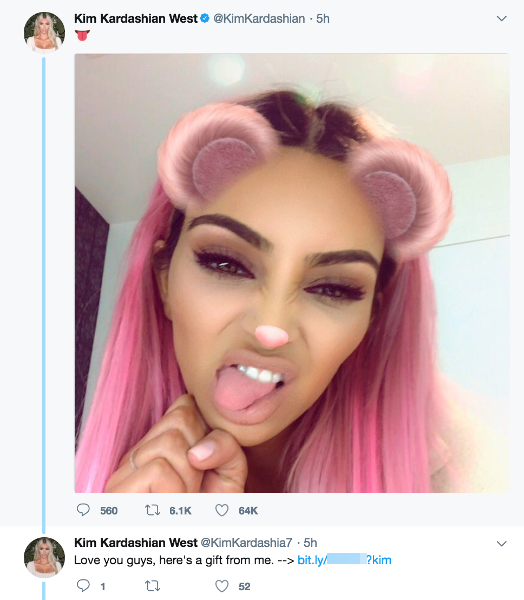 In keeping with previous trends surrounding impersonation accounts, scammers have begun to impersonate a variety of musicians, film, television and YouTube stars on Twitter in an effort to promote gift card spam. As interest in cryptocurrencies such as Bitcoin, Ethereum, and alternate tokens have grown, scammers have taken a keen interest in trying to defraud unsuspecting users in a variety of ways. I recently observed scammers impersonating prominent industry figures like Vitalik Buterin, Charlie Lee, Justin Sun, Andreas Antonopoulos and John McAfee on Twitter to try to steal tokens. 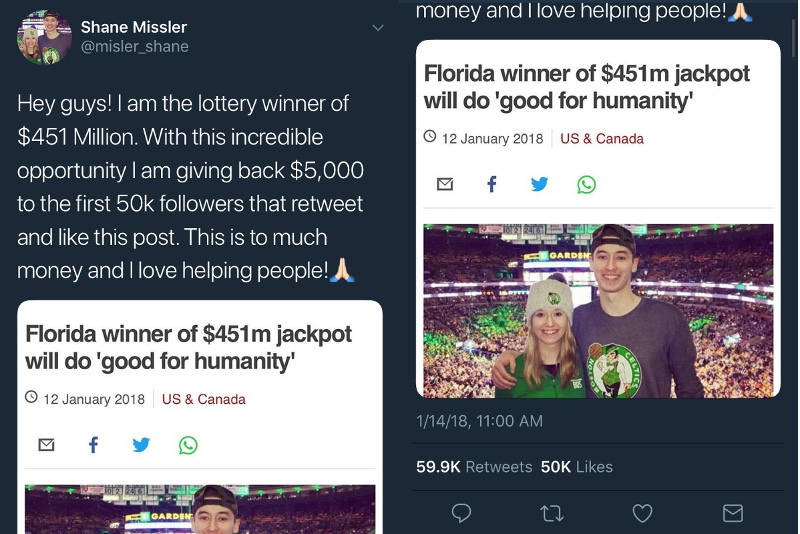 On January 12, 2018, state lottery officials in Florida announced that Shane Missler, a 20-year-old from Port Richey had won the record-breaking jackpot of $451 million USD. As this news began circulating, scammers took to various social media sites to promote impersonation accounts claiming to be Mr. Missler offering cash rewards to new followers that performed certain actions.